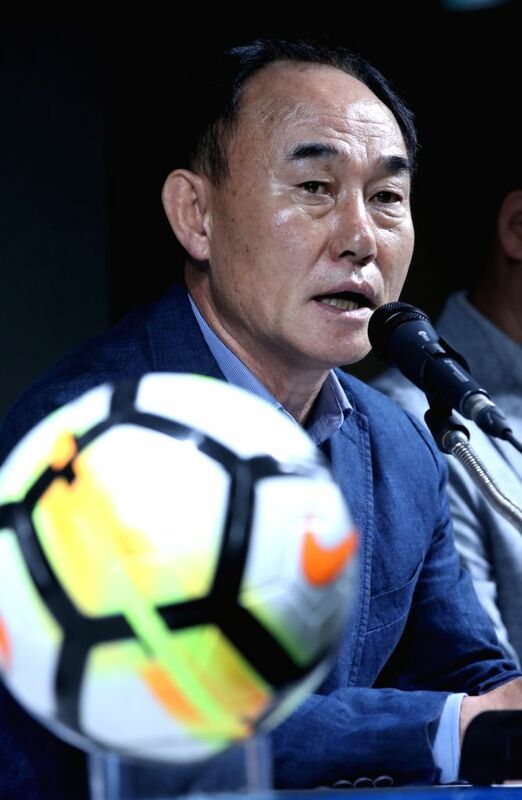 Seoul: Kim Hak-bum, South Korea's head coach for the men's football team, holds a press conference in Seoul on July 16, 2018, to announce the 20-member roster for the 2018 Asian Games to be held in Jakarta and Palembang. The men's football competition at the Asian Games will be held from Aug. 14 to Sept. 1. Included on the South Korean team are Tottenham Hotspur attacker Son Heung-min; Daegu FC goalkeeper goalkeeper Jo Hyeon-woo, who showed an impressive performance at the 2018 World Cup; and Gamba Osaka forward Hwang Eui-jo.